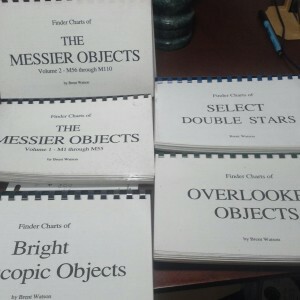 Brent Watson Finder Charts Sold! 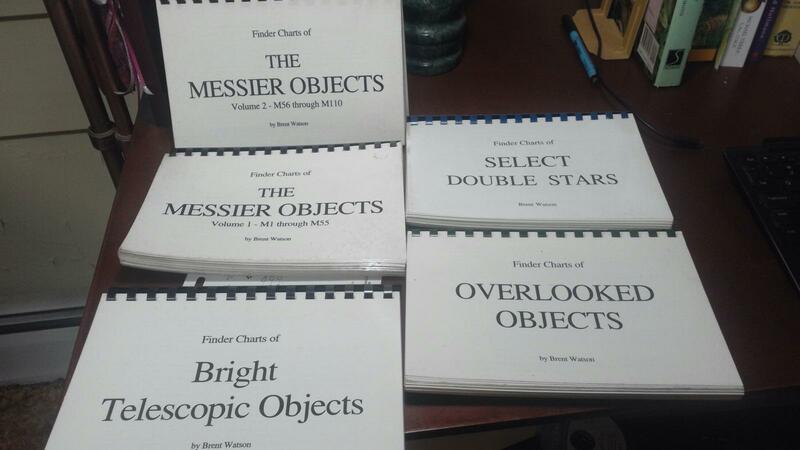 All charts are in good used condition - no tears or rips of the pages. Two of the binding rings of Messier Objects Volume 2 are snapped off. Some discoloration due to use, especially to covers and edges of pages. Price includes shipping to Conus. Payment through Paypal.